As I seem to be slightly under the weather this week (perhaps I'm having a mental block due to being at 997 blog posts...), I'm going to introduce you to Kristin Arnold, president of the National Speakers Association. Her book is called Boring to Bravo, and she's offered an excerpt, which I've posted below! Because we've been talking a bit about Q&A lately, I thought this was a good fit. I do love a guest blogger when my brain isn't working properly. Thank you, Kristin! No one wants to be boring, and no one wants to be bored listening to you. During a presentation you are delivering to customers, co-workers or cohorts, you can’t afford to have your audience disengage – or worse – walk out. While it will always be easier to recite information (one way) than it is to make an engaging speech (two way) presentation that connects with your audience, today’s audiences are demanding more engagement and interaction. 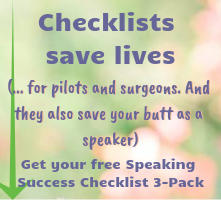 They are expecting you to bring specific knowledge they can’t get anywhere else – and deliver it in an entertaining way. Get out of your comfort zone and choose to make your presentations more engaging and interactive. I once watched a famous retired football coach deliver an after-dinner speech to a group of a hundred managers. As to be expected, when he came to the end of his presentation, he asked if anyone had any questions. What I did not expect is that no one had a question. Not one. Here is a guy with several Super Bowl rings on his fingers and no one had a question about anything he said. We looked around at each other for a few terrible moments until one of the VPs broke the ice with some lame question. There was another polite one and then the crowd started asking pertinent questions. This question-and-answer session (Q&A) did not have to be so painful. Obviously, this coach had given this speech once or twice before, and yet his ending Q&A was the first time he engaged the audience one-on-one. Even though he knew what to expect, it is hard to involve the audience seven-eights of the way into a presentation! · Take questions as you go. · Stop periodically and ask for questions – particularly if a participant or two looks puzzled. 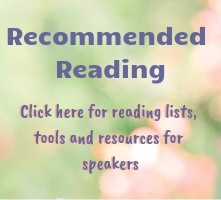 · Create small groups to formulate the questions. · Use a cellular phone, Web technology, or index cards to solicit questions. · Hold questions until the end (but then wrap up with your final comments or story). There is no right or wrong approach, although I have a strong bias against holding all questions to the end. By the time you get to the end, your audience will have forgotten the burning question they had twenty minutes earlier. They will be ready to take a break and grab another cup of coffee. It all depends on your topic, your audience, and how much time you have. Just pick an approach, tell the audience how you will take questions, and then stick to it. You may want to ask the moderator (if you have one) to introduce the Q&A approach, to call on the questioners, and to intervene if it gets off track. You will never be boring if you genuinely care about and connect with your audience. And, the added benefit is that you’ll have more fun, too! View the trailer for Kristin's book here. 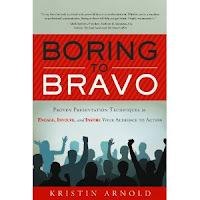 Kristin Arnold is on a mission to make all meetings more engaging, interactive and collaborative through her new book, Boring to Bravo. Arnold is president of the National Speakers Association. Visit BoringtoBravo.com to order your copy today and for free downloads. I agree it it better not to hold questions until the end unless you have a very large audience. It's more interactive when people can ask anytime. Thanks for stopping by, TJ!